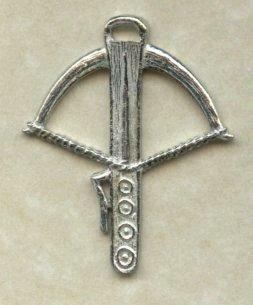 This Dutch badge shows a drawn crossbow ready to be fired. May also be a symbol of male sexual potency. With two lapel pin fixings.